Playing classical guitar starts with figuring out the notes, noting major and minor keys on the circle of 5ths, and knowing what situations in classical guitar call for playing the free stroke or the rest stroke. 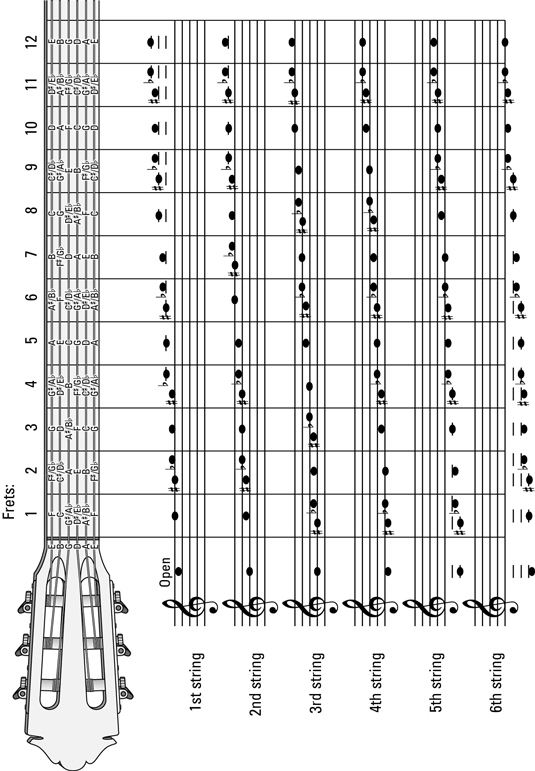 This diagram illustrates the guitar’s entire range of notes, including sharps and flats, on the treble clef, using ledger lines below and above the staff. Each of the six string’s 12 frets is shown allowing you to see some pitches that are played on multiple strings in classical guitar. 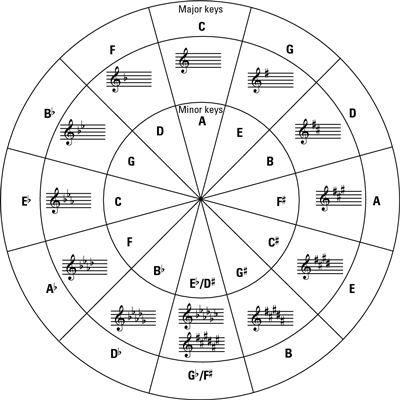 The circle of 5ths (an interval encompassing five notes) is a helpful tool in classical guitar for viewing the 12 major and minor keys by the order of sharps and flats in their key signatures. The key of C (no sharps or flats) is at the top, or 12 o’clock position. Moving clockwise from C you progress, by ascending 5ths, through all 12 keys beginning with sharps. How do you know when to use the free stroke or the rest stroke when playing classical guitar? This table notes when you should choose to use the free stroke and when your better option is the rest stroke for your guitar playing.